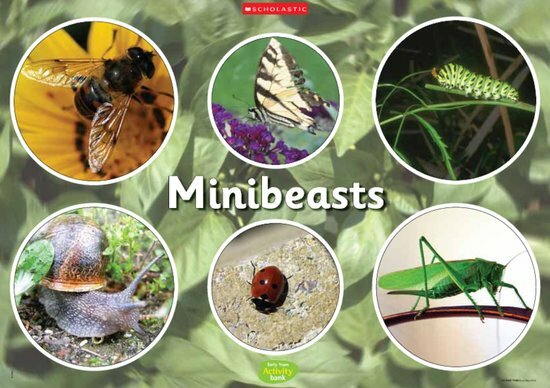 Use this brilliant poster as a centrepiece for your minibeasts display. You could use the photographs to support a discussion of various minibeasts’ habitats. There’s also plenty of potential here for spinning off into work on life cycles – particularly with the butterfly and the caterpillar.